© 2008-2016 Loqu8, Inc. All rights reserved. No portion of this website may be reproduced in any form, or by any means without prior written permission from Loqu8, Inc. While every effort has been made to ensure that the information contained in this document is accurate and complete, no liability can be accepted for omissions or errors. Loqu8 reserves the right to change the specifications and functions of the software described herein at any time without prior notice. Loqu8 makes no warranties for damages resulting from corrupted or lost data due to a mistaken operation or malfunction of the software. By visiting loqu8.com website, using Loqu8 software, providing feedback or sending e-mails to us, you are communicating with us electronically. Your action consents to receiving communications from us electronically. We will communicate with you by e-mail or by posting notices on this site. You agree that all agreements, notices, disclosures and other communications that we provide to you electronically satisfy any legal requirement that those communications be in writing. These license terms are an agreement ("Agreement") between Loqu8, Inc. ("Loqu8") (or based on where you live, one of its affiliates) and you. Please read them. They apply to the software that accompanies these license terms, which includes the media on which you received it, if any. The terms of this Agreement also apply to any Loqu8 updates, supplements, Internet-based services, and support services, whether provided by Loqu8 or any of its affiliates, unless other terms accompany those items. If so, those terms apply. IF YOU DO NOT ACCEPT THE LICENSE TERMS, DO NOT USE THE SOFTWARE. 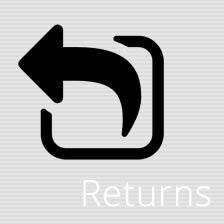 INSTEAD, RETURN THE SOFTWARE TO YOUR PLACE OF PURCHASE FOR A REFUND OR CREDIT WITHIN THIRTY DAYS OF PURCHASE. If you cannot obtain a refund there, contact Loqu8 or the Loqu8 affiliate serving your country for information about Loqu8's refund policies. USING THE SOFTWARE ALSO OPERATES AS YOUR CONSENT TO THE TRANSMISSION TO LOQU8 AND/OR ITS AFFILIATES OF CERTAIN INFORMATION DURING ACTIVATION, VALIDATION AND FOR INTERNET-BASED SERVICES. IF YOU COMPLY WITH THESE LICENSE TERMS, YOU HAVE THE RIGHTS BELOW FOR EACH LICENSE YOU ACQUIRE. 1. OVERVIEW. These license terms permit installation and use of one copy of the software on one device (the "Device"), along with other rights, all as described below. a. 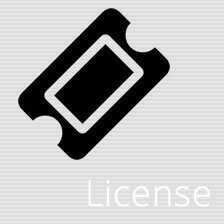 Licensed Device. You may install and use one copy of the software on the licensed Device. A hardware partition or blade is considered to be a separate Device. b. Separation of Components. The software and all included components are licensed as a single unit, and you may not separate the components and install them on different devices. c. Licensed User. Except as set forth below with respect to the Home Use License, the software is licensed for use by one single user (the "User"). d. Home Use License. If you purchased a Home Use License, you may install and use the software on multiple Devices, provided that all such Devices are located within the same residence (the "Residence"). Your Home Use License may be used by multiple users, provided that all such users reside at the Residence ("Home Use Users"). Usage is restricted to no more than 5 devices or 3 users. e. Academic License. If you purchased an Academic License, you may install and use the software on multiple devices within your academic institution, solely for use by the User and not by other individuals. a. Remote Access. The User of the licensed Device may access and use the software installed on the licensed Device remotely from any other device. You may allow other users to access the software only for the purpose of providing you with support services. You do not need additional licenses for such access. Except as set forth above with respect to the Home Use License, no other person may use the software under the same license for any other purpose. b. Multiplexing. Hardware or software you use to pool connections, or reduce the number of devices or users that directly access or use the software (sometimes referred to as "multiplexing" or "pooling"), does not reduce the number of licenses you need. c. Trial and Conversion. Some or all of the software may be licensed on a trial basis. Your rights to use trial software are limited to the trial period. The trial software and length of the trial period are set forth during the activation process. You may have the option to convert ("Convert") your trial rights to subscription or perpetual rights ("Conversion"). Conversion options will be presented to you at the expiration of your trial period. After the expiration of any trial period without Conversion, certain features of the trial software may be disabled or performance degraded, and the software may not be fully functional. d. Subscription Software. If you licensed the software on a subscription basis, your rights to use the software are limited to the subscription period. You may have the option to extend your subscription or convert to a perpetual license. If you extend your subscription, you may continue using the software until the end of your extended subscription period. See the software activation screens or other accompanying materials for subscription details. After the expiration of your subscription, most features of the software will stop running. At that time you can continue to open, view and print any documents you created with the software. e. Communications. You consent to receiving communications from Loqu8 electronically. Loqu8 will communicate with you by e-mail or by posting notices on Loqu8.com website. You agree that all agreements, notices, disclosures and other communications that we provide to you electronically satisfy any legal requirement that those communications be in writing. 4. MANDATORY ACTIVATION. Activation associates the use of the software with a specific Device. During activation, the software will send information about the software and the Device to Loqu8. This information includes the user account information, domain, version, the license version, language and the product ID of the software, Internet protocol address of the Device and information derived from the hardware configuration of the Device. BY ACTIVATING OR USING THE SOFTWARE, YOU CONSENT TO THE TRANSMISSION OF THIS INFORMATION. Your rights to use the software will be limited until the software is activated. This is to prevent its unlicensed use. THE SOFTWARE MAY PERIODICALLY REMIND YOU TO ACTIVATE UNTIL YOU DO. After initial activation, some changes to your computer components or the software may require you to reactivate the software. a. Upon activation or Conversion, or from time-to-time afterward, the software may require download of the validation feature of the software ("Validation"). The Validation process verifies that the software has been activated and is properly licensed. Validation may also permit you to use certain features of the software or to obtain additional benefits. b. During Validation, the software will send information about the software to Loqu8. This information includes the user account information, domain, IP address, CPU and operating system, version of the software and the product key. Loqu8 does not use the information to identify or contact you. BY USING THE SOFTWARE, YOU CONSENT TO THE TRANSMISSION OF THIS INFORMATION. c. If the software is not properly licensed, the functionality of the software may be affected. In addition, you may need to reactivate the software, or receive reminders to obtain a properly licensed copy of the software, or you not be able to obtain certain updates, upgrades or services from Loqu8. d. You may only obtain updates or upgrades for the software from Loqu8 or authorized sources. 6. INTERNET-BASED SERVICES. From time to time, Loqu8 may provide Internet-based services ("Internet Services") for use with the software, such as additional databases. These Internet Services may be subject to additional charges or fees. Except as otherwise noted in materials accompanying a service, Loqu8 may change or cancel them at any time, for any reason in Loqu8’s sole discretion. a. Consent for Internet-Based Services. The Internet Services may require that the Device connect to Loqu8 or service provider computer systems over the internet. 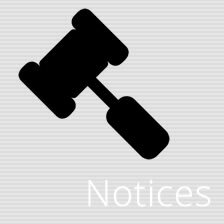 In some cases, you will not receive a separate notice when they connect. BY USING THESE INTERNET SERVICES, YOU CONSENT TO THE TRANSMISSION OF THIS INFORMATION. Loqu8 does not use the information to identify or contact you. Computer Information. The Internet Services use Internet protocols, which send to the appropriate systems computer information, such as your IP address, the type of operating system, browser and name and version of the software you are using, and the language code of the device where you installed the software. Loqu8 uses this information to make the Internet-based services available to you. b. Misuse of Internet-based Services. You may not use the Internet Services in any way that could harm them or impair anyone else's use of them. You may not use the Internet Services to try to gain unauthorized access to any service, data, account or network by any means. 7. SCOPE OF LICENSE. The software is licensed, not sold. This agreement only gives you some rights to use the software. Subject to the terms of this Agreement, Loqu8 hereby grants the User or the Home Use Users, as applicable, a limited, personal, non-sublicensable, non-transferable, royalty-free, nonexclusive license to use the software and any associated documentation, only for such user’s personal, non-commercial use. In using the software, you must comply with any technical limitations in the software that only allow you to use it in certain ways. You may not: work around any technical limitations in the software; reverse engineer (except and only to the extent that applicable law expressly permits, despite this limitation), decompile, disassemble, attempt to discover the source code or structure, sequence and organization of, or remove any proprietary notices from the software; publish the software for others to copy; use the software in any way that is against the law; copy, distribute, rent, lease, timeshare, operate a service bureau with or lend the software; or use the software for commercial purposes or for the benefit of a third party, such as software hosting services. As between you and Loqu8, all title, ownership rights, and intellectual property rights in and to the software, and any copies or portions thereof, shall remain in Loqu8 and its suppliers or licensors. The software is protected by the copyright laws of the United States and international copyright treaties. This Agreement does not give you any rights not expressly granted herein. 8. BACKUP COPY. You may make one backup copy of the media. You may use it only to reinstall the software. 9. DOCUMENTATION. You may copy and use the documentation solely for your internal, reference purposes. 10. NOT FOR RESALE SOFTWARE. You may not sell software marked as "NFR" or "Not for Resale." 11. ACADEMIC LICENSE. You must be a "Qualified Educational User" to use a license marked as "Academic License". If you do not know whether you are a Qualified Educational User, contact Loqu8 or the Loqu8 affiliate serving your country. 12. HOME USE LICENSE. You must be a "Home Use User" to use a license marked as "Home Use License". 13. UPGRADE OR CONVERSION. To upgrade or Convert software, you must first be licensed for the software that is eligible for the upgrade or Conversion. Upon upgrade or Conversion, this Agreement takes the place of the agreement for the software you upgraded or Converted from. After you upgrade or Convert, you may no longer use the earlier version of the software you upgraded or Converted from. 14. TERMINATION. You may terminate this Agreement and the license granted herein at any time by destroying or removing from all computers, networks, and storage media all copies of the software. Loqu8 may terminate this Agreement and the license granted herein immediately if you breach any provision of this Agreement. Upon receiving notice of termination from Loqu8, you will destroy or remove from all computers, networks, and storage media all copies of the software. 15. EXPORT RESTRICTIONS. The software is subject to United States export laws and regulations. You shall comply with all export laws and restrictions and regulations of the Department of Commerce, the United States Department of Treasury Office of Foreign Assets Control ("OFAC"), or other United States or foreign agency or authority, and not to export, or allow the export or re-export of the software in violation of any such restrictions, laws or regulations. By downloading or using the software, You are representing and warranting that you are not located in, under the control of, or a national or resident of any restricted country or on any such list. 16. SUPPORT SERVICES. This Agreement does not entitle you to any support, upgrades, patches, enhancements, or fixes for the Software (collectively, "Support"). Any such Support for the software that may be made available by Loqu8 shall become part of the software and subject to this Agreement. 17. ENTIRE AGREEMENT. This agreement (including the warranty below), any addendum or amendment included with the software, and the terms for supplements, updates, Internet Services and support services that you use, are the entire agreement for the software and support services. If any provision of this Agreement is held to be unenforceable for any reason, such provision shall be reformed only to the extent necessary to make it enforceable. a. Applicable Law. This Agreement shall be governed by and interpreted in accordance with the laws of the state of Washington, without regard to its conflict of laws principles and without regard to the United Nations Convention on the International Sale of Goods. b. Arbitration. Any dispute arising from or relating to the subject matter of this Agreement shall be finally settled by arbitration in Seattle, Washington, using the English language in accordance with the Arbitration Rules and Procedures of the Judicial Arbitration and Mediation Service, Inc. ("JAMS") then in effect, by one or more commercial arbitrator(s) with substantial experience in resolving complex commercial contract disputes, who may or may not be selected from the appropriate list of JAMS arbitrators. If the parties cannot agree upon the number and identity of the arbitrators within fifteen (15) days following the Arbitration Date, then a single arbitrator shall be selected on an expedited basis in accordance with the Arbitration Rules and Procedures of JAMS. Any arbitrator so selected shall have substantial experience in the software industry. The arbitrator(s) shall have the authority to grant specific performance and to allocate between the parties the costs of arbitration (including service fees, arbitrator fees and all other fees related to the arbitration) in such equitable manner as the arbitrator(s) may determine. The prevailing party in the arbitration shall be entitled to receive reimbursement of its reasonable expenses (including reasonable attorneys’ fees, expert witness fees and all other expenses) incurred in connection therewith. Judgment upon the award so rendered may be entered in a court having jurisdiction or application may be made to such court for judicial acceptance of any award and an order of enforcement, as the case may be. Notwithstanding the foregoing, each party shall have the right to institute an action in a court of proper jurisdiction for preliminary injunctive relief pending a final decision by the arbitrator(s), provided that a permanent injunction and damages shall only be awarded by the arbitrator(s). For all purposes of this Section 19, the parties consent to exclusive jurisdiction and venue in the United States federal Courts located in Washington. 19. LIMITATION ON AND EXCLUSION OF DAMAGES. EXCEPT FOR BODILY INJURY, (I) YOU MAY RECOVER FROM LOQU8 AND/OR ITS AFFILIATES ONLY DIRECT DAMAGES UP TO THE AMOUNT YOU PAID FOR THE SOFTWARE AND (II) UNDER NO CIRCUMSTANCES AND UNDER NO LEGAL THEORY, INCLUDING, WITHOUT LIMITATION, TORT, CONTRACT, STRICT LIABILITY, OR OTHERWISE, SHALL LOQU8 AND/OR ITS AFFILIATES BE LIABLE TO YOU OR ANY OTHER PERSON FOR ANY INDIRECT, SPECIAL, INCIDENTAL, OR CONSEQUENTIAL DAMAGES OF ANY CHARACTER INCLUDING, WITHOUT LIMITATION, DAMAGES FOR LOST PROFITS, LOSS OF GOODWILL, WORK STOPPAGE, ACCURACY OF RESULTS, COMPUTER FAILURE OR MALFUNCTION, OR DAMAGES RESULTING FROM YOUR USE OF THE SOFTWARE. SOME STATES OR JURISDICTIONS DO NOT ALLOW THE EXCLUSION OR LIMITATION OF INCIDENTAL OR CONSEQUENTIAL DAMAGES, SO THE ABOVE LIMITATION OR EXCLUSION MAY NOT APPLY TO YOU. We want you to experience the most powerful language tools—at no risk. If you are not satisfied for any reason, please contact us within 30 days of your purchase. We'll work to make you happy or refund your payment. For subscription users, let us know if you have been unable to use our software due to a service outage. We will credit your account for the number of days it was not available. Your Loqu8 information may be supplemented with additional information from other companies such as publicly available information, information about households, and other information which we may append or match to your Loqu8 information. Loqu8 may also receive or collect certain technical information when you use our services. This may include: the type of browser or operating system you are using, your manner of connecting to the Internet and the name of your Internet service provider; your Internet protocol address; information about Loqu8 services that you used prior to registering with Loqu8; and data relating to computer malfunctions or problems occurring when you use your computer with Loqu8 services. Additionally, we may collect information about other software on your computer for the limited purpose of protecting your security or improving your online experience. The contents of your online communications, as well as other information about you as an Loqu8 user, may be accessed and disclosed in response: to lawful governmental requests or legal process (for example, a court order, search warrant or subpoena), in other circumstances in which Loqu8 has a good faith belief that a crime has been or is being committed by an Loqu8 user, that an emergency exists that poses a threat to the safety of you or another person, when necessary either to protect the rights or property of Loqu8, or for us to render the service you have requested. Please note that if you use Loqu8 communications tools to disclose information about yourself publicly (for example, in chat rooms or online message boards made available by Loqu8), others outside of Loqu8 may obtain access to information you provide. Loqu8’s offerings may include features or functionalities provided by third parties. In the process of providing such functionalities within Loqu8 services, your browser may automatically send certain technical information to the third party provider. 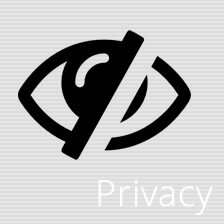 The use of these third-party provided features or functionalities is subject to their own privacy policies. Business partners or other third parties may receive data about groups of Loqu8 users, but do not receive information that personally identifies you. We may use agents and contractors in order to help operate Loqu8. Their use of information is limited to these purposes. In the event that ownership of Loqu8 was to change as a result of a merger, acquisition, or transfer to another company, your Loqu8 information may be transferred. If such a transfer results in a material change in the use of your Loqu8 information, you will be provided notice about the choices you have to decline to permit such a transfer. Your Loqu8 information may be used for the presentation of advertisements. Loqu8 may use ad networks to customize and display advertising on Loqu8 Services. Loqu8 may share certain information about you as a user (such as age, zip code, or other information we have collected or received) with certain ad network and service providers to help them deliver more relevant content and advertisements through their networks. You can learn more about advertising displayed on Loqu8 as well as how you can control the use of your Loqu8 information for such advertising. Loqu8 services are intended for a general audience, and children under the age of thirteen should not register without the consent of a parent or guardian. A. WARRANTY. Loqu8 warrants to you that the software will materially conform to Loqu8's then-current user documentation for the software for a period of one year after the date of purchase. B. EXCLUSIONS FROM WARRANTY. This warranty set forth above does not cover problems caused by your acts (or failures to act), the acts of others, or events beyond LOQU8's reasonable control. C. REMEDY FOR BREACH OF WARRANTY. LOQU8 WILL, AT LOQU8'S OPTION, REPAIR OR REPLACE THE SOFTWARE AT NO CHARGE. IF Loqu8 CANNOT REPAIR OR REPLACE THE SOFTWARE, LOQU8 WILL PROVIDE A REFUND FOR THE SOFTWARE. YOU MUST UNINSTALL THE SOFTWARE AND RETURN ANY MEDIA AND OTHER ASSOCIATED MATERIALS TO LOQU8 WITH PROOF OF PURCHASE TO OBTAIN A REFUND. THESE ARE YOUR SOLE AND EXCLUSIVE ONLY REMEDIES FOR BREACH OF THE LIMITED WARRANTY. D. CONSUMER RIGHTS NOT AFFECTED. YOU MAY HAVE ADDITIONAL CONSUMER RIGHTS UNDER YOUR LOCAL LAWS, WHICH THIS AGREEMENT CANNOT CHANGE. E. DISCLAIMER. 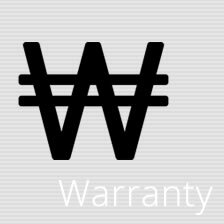 THE WARRANTY SET FORTH ABOVE IS THE ONLY WARRANTY FROM LOQU8. EXCEPT AS SET FORTH ABOVE, EVERYTHING PROVIDED UNDER THIS AGREEMENT (WHETHER SOFTWARE, SERVICE OR OTHERWISE) IS PROVIDED "AS IS" WITHOUT WARRANTY OF ANY KIND AND LOQU8 DISCLAIMS ALL OTHER EXPRESS OR IMPLIED WARRANTIES, INCLUDING WITHOUT LIMITATION, ANY WARRANTY OF MERCHANTABILITY OR FITNESS FOR A PARTICULAR PURPOSE OR NONINFRINGEMENT. FURTHER, LOQU8 DOES NOT WARRANT RESULTS OF USE OR THAT THE SOFTWARE COMPONENTS OR SERVICES ARE BUG FREE OR THAT THEIR USE WILL BE UNINTERRUPTED. SOME STATES AND JURISDICTIONS DO NOT ALLOW LIMITATIONS ON HOW LONG AN IMPLIED WARRANTY LASTS, SO THE ABOVE LIMITATIONS MAY NOT APPLY TO YOU. F. LIMITATION ON AND EXCLUSION OF DAMAGES FOR BREACH OF WARRANTY. THE LIMITATION ON AND EXCLUSION OF DAMAGES CLAUSE ABOVE APPLIES TO BREACHES OF THIS LIMITED WARRANTY. THIS WARRANTY GIVES YOU SPECIFIC LEGAL RIGHTS, AND YOU MAY ALSO HAVE OTHER RIGHTS WHICH VARY FROM STATE TO STATE. YOU MAY ALSO HAVE OTHER RIGHTS WHICH VARY FROM COUNTRY TO COUNTRY. After placing your order, Loqu8 immediately processes your payment. In most cases, you will receive an email with the acknowledgement of your order and a link to download the software and other digital content in 1 to 24 hours. From time to time, our payment processor may request an additional 1-3 business days to verify transaction details; if this is the case, you will be notified in 1 to 24 hours with an email. 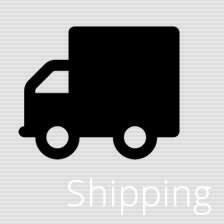 Packaged products leave our fulfillment center within 24 to 72 hours. You will receive an email with the acknowledgement of your order and estimated delivery time.